Browsers like Firefox and Chrome offer customizations through themes and extensions, this is one of the reason for their increasing popularity. If you donâ€™t like the default look of the browser you can always pimp it up with several themes available online and make the browser look the way you want it. Apart from the Chrome web store themes now there is an another way you can customize the browser. 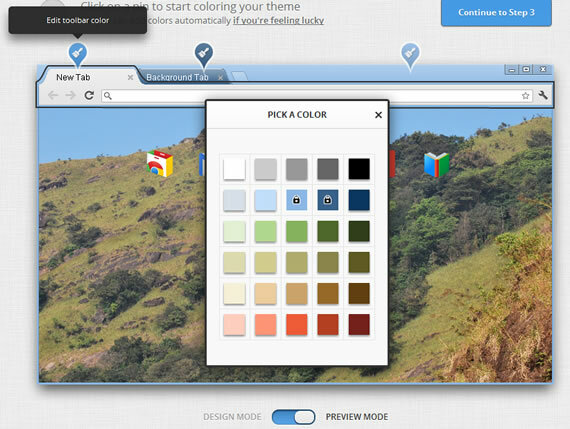 A new Chrome extension allows you to create themes for Chrome and share them with others. 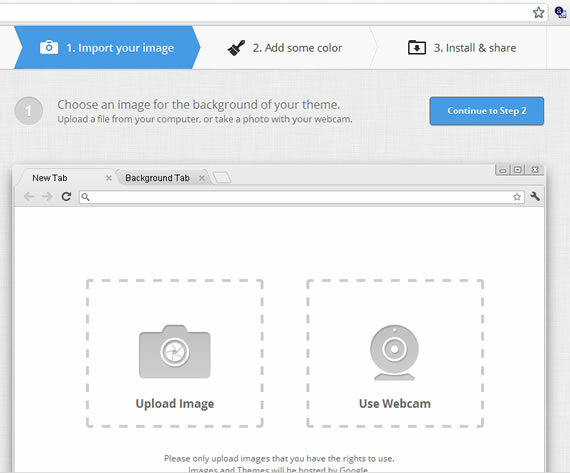 My Chrome Theme is a Chrome extension that allows you to create Chrome themes using your own images or designs. Install the extension and launch it from Chrome Apps list. 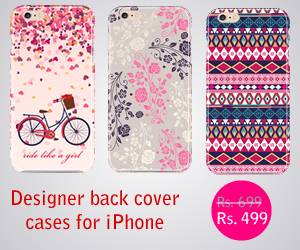 It allows you to create am theme in 3 simple steps. First choose the image you want to use as a background for Google Chrome. You can upload a file or use webcam to capture an image. Once uploaded you can customize the position of the image. In the next step you can add colors to browser frame, tabs using a color picker. If you canâ€™t select a color it can do it automagically for you. In the final step give a name to your theme and add small description, useful if you want to share this theme with others. Once you are done you can install the theme to your chrome, you will get an unique URL to share the theme with others.